The Vaping Experience Mt. Baker Vapor E-Juice Blind Taste Test Review! Today we bring you a review of the Mt. Baker Vapor E-Juice Line. Really enjoyable flavors! Welcome back Rita @rita_wade to the video as well! We were sponsored by http://mtbakervapor.com for this review. Thank you for the samples! As always check out our instagram for outtakes! ------------- You can check out their juice line at: http://goo.gl/TsvhjK promo code "Tristan" for 11% off instagram.com/mtbakervapor ------------- About us: This is the continuation of bringing you on the journey of Vaping again for 2016. Vaping since 2009! You can follow all videos and articles at: http://alttabme.com Instagram: http://instagram.com/lostintxtlation Twitter: http://twitter.com/tristanpope Photography: http://tristanpope.com Vendors if you would like to get your product recognized or if you have a product you would like me to review, you can contact me at tristanpope@gmail.com. The Vaping Experience R.I.P. Trippers "Selling out the Vaping Community One Affiliate At A Time"
The Vaping Experience "The Gold Standard" of DNA 200 Mods, The Wismec Reuleaux and GIVEAWAY! We were extremely excited to be sent some sample Ejuice to review from PEC Liquids as he has been around since 2009 and have over 350+ flavors! However, sometimes things sound too good to be true. To make sure we are fair and honest with all items sent our way, we have published this very honest review about the PEC E-Juice sent our way. We combined two opinions, and came to the same conclusion. Hopefully our honesty helps your choices in the future. Their website: http://www.pecvapeshop.com/ The owner of this shop is extremely nice, we wish him the best! ------------- About us: This is the continuation of bringing you on the journey of Vaping again for 2016. Vaping since 2009! You can follow all videos and articles at: http://alttabme.com Instagram: http://instagram.com/lostintxtlation Twitter: http://twitter.com/tristanpope Photography: http://tristanpope.com Vendors if you would like to get your product recognized or if you have a product you would like me to review, you can contact me at tristanpope@gmail.com. This video is a review of the OBS Crius from altsmoke.com, but we wanted to approach it differently than your run of the mill review and unboxing. This should help those new to RTA's understand what they are about. How to get started quickly. And how it compares to an RDA and Regular Tank! If you want to see how to build on an RDA which is similar to an RTA but a bigger build area watch this video: ------------- Steve's Juice line TRUVE: You can check out his juice line at: truvenyc.com - promo code 10% off "alttabme" instagram.com/truve_vapor_inc (currently their payment system is down, in 4 days of this post it should be good to go!) ------------- We will be running a contest to win a starter kit in conjunction with DirectVapor in a future review so please subscribe to know when! It will also be announced at alttabme.com and our instagram! ------------- About us: This is the continuation of bringing you on the journey of Vaping again for 2016. You can follow all videos and articles at: http://alttabme.com Twitter: http://twitter.com/tristanpope Instagram: http://instagram.com/lostintxtlation Photography: http://tristanpope.com Vendors if you would like to get your product recognized or if you have a product you would like me to review, you can contact me at tristanpope@gmail.com. The Vaping Experience TRUVE E-Juice Blind Taste Test Review and Giveaway!!! Today we bring you a review of the TRUVE E-Juice Line. Wow... Amazing! Welcome Rita @rita_wade to the video as well! Not only that but TRUVE was nice enough to let us give away and entire set of their juice! To win you must comment on our photo on their instagram and sub to both their instagram and ours @tristanpope and @truve_vapor_inc ------------- You can check out his juice line at: truvenyc.com - promo code 10% off "alttabme" instagram.com/truve_vapor_inc (currently their payment system is down, in 2 days of this post it should be good to go!) ------------- About us: This is the continuation of bringing you on the journey of Vaping again for 2016. Vaping since 2009! You can follow all videos and articles at: http://alttabme.com Twitter: http://twitter.com/tristanpope Instagram: http://instagram.com/lostintxtlation Photography: http://tristanpope.com Vendors if you would like to get your product recognized or if you have a product you would like me to review, you can contact me at tristanpope@gmail.com. This video is a review of the Mutation X V4 sent to us by directvapor.com, but we wanted to approach it differently than your run of the mill review and unboxing. Since I am new to RDA's I invited a guest. Steve, owner of Truvé Vapor, joined me to help teach how to build an RDA! He kinda rocks at building. This should help those new to RDA's and also be a fun time with me and him bantering back and forth. If you want to just hear the review and our thoughts on the Mutation or watch the build, here are timecodes to skip around: Intro: 00:00 - 01:42 What's in the Box: 01:42 - 06:38 How to build on an RDA: 06:38 - 19:54 Our thoughts and banter: 19:54 - End ------------- You can check out his juice line at: truvenyc.com - promo code 10% off "alttabme" instagram.com/truve_vapor_inc (currently their payment system is down, in 4 days of this post it should be good to go!) ------------- Purchase your own Mutation X v4 RDA at Mutation X V4 RDA for 27.95$ (they also price match!) We will be running a contest to win one of these starter kits in conjunction with DirectVapor in a future review so please subscribe to know when! It will also be announced at alttabme.com and our instagram! ------------- About us: This is the beginning of bringing you on the journey of Vaping again for 2016. You can follow all videos and articles at: http://alttabme.com Twitter: Tristan Pope (@tristanpope) | Twitter Instagram: Tristan Pope (@tristanpope) • Instagram photos and videos Photography: TRISTAN POPE Vendors if you would like to get your product recognized or if you have a product you would like me to review, you can contact me at tristanpope@gmail.com. Login and Redeem this code [AGENTORIGINS] now at http://ubi.li/e9v3u to unlock your 4 Free Division Agent Gear Sets inspired by this video series! 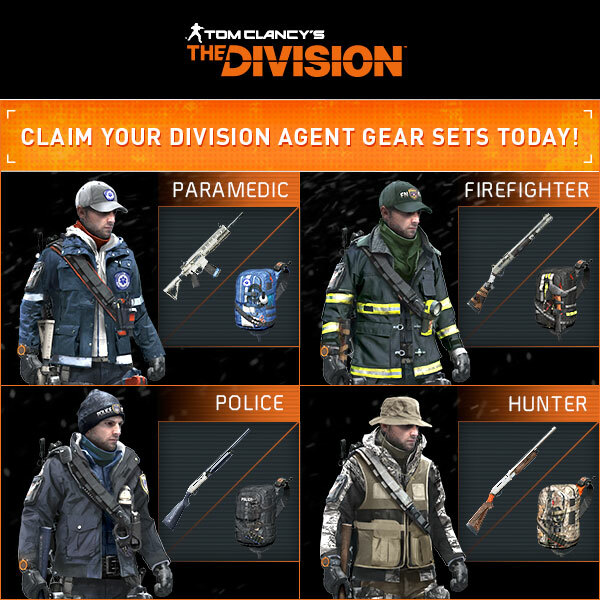 Each gear set will give your in-game Division Agent a unique look and includes skills that will help you take back New York. This is our in depth review of the Smok R80 TC Starter Kit. This is what we believe to be the best in not only design, but package, bang for buck, taste, clouds, and ease of use especially for those trying to quit smoking. No one wants to hassle with something when they are trying to switch from something familiar to something new and often confusing, only to then learn it is useless a week later if they make it through the transition process! Not only that we wanted to walk you through from package to assembly, so you know what it takes to start vaping quickly and efficiently! So you can see that video of HOW TO here: As well we wanted to pick a starter kit that had expandability for when and if you wanted to upgrade in the future! Check out the review to see why The Smok R80 TC Starter Kit is the winner! Purchase your own at http://www.directvapor.com/premium-mods/smok-micro-one-80w-tc-starter-kit.html for 79.95$ (they also price match!) We will be running a contest to win one of these starter kits in conjunction with DirectVapor in a future review so please subscribe to know when! It will also be announced at alttabme.com and our instagram! ------------------ About us: This is the beginning of bringing you on the journey of Vaping again for 2016. You can follow all videos and articles at: http://alttabme.com Twitter: http://twitter.com/tristanpope Instagram: http://instagram.com/lostintxtlation Photography: http://tristanpope.com Vendors if you would like to get your product recognized or if you have a product you would like me to review, you can contact me at tristanpope@gmail.com. The Vaping Experience The BEST Starter Kit & HOW TO set it all up, for the beginning VAPER! The Smok R80 TC!